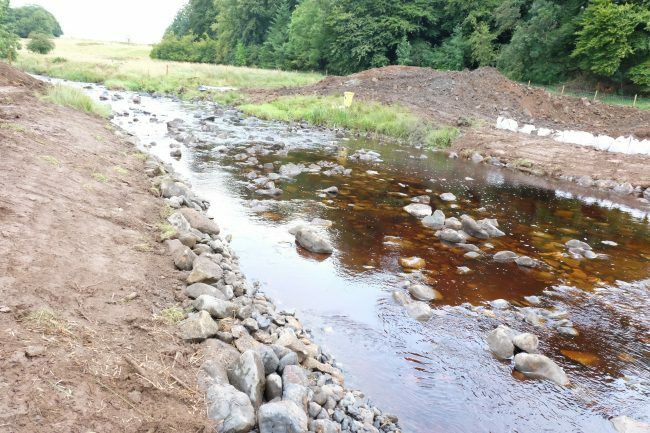 We were involved in a fish rescue last week ahead of the Scottish Water pipeline crossing the Craufurdland Water near Kilmarnock. 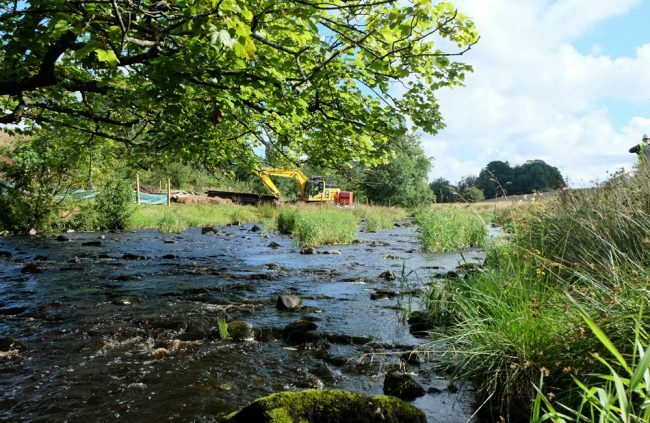 We were there on Monday before water levels stopped work, followed by a return on Tuesday to perform the fist passes over with electrofishing equipment to remove as many fish as we could from the site. This isn’t the first fish rescue we’ve performed associated with this pipeline but this certainly was the largest. The river was up to 16m wide and the site stretched for about 50m. That’s a fair area to remove all the fish from but we set about the task this morning and finsihed the first run through before lunch. 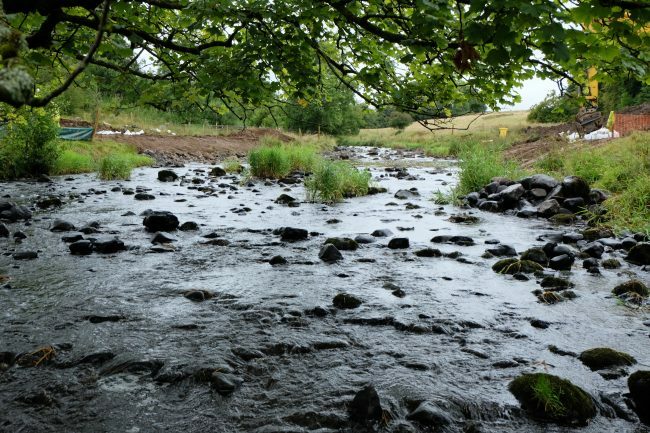 With well over 200 salmonids captured and a load more eels, loach and minnows, we couldn’t help but be impressed by the natural productivity in what is a very clean wee river. 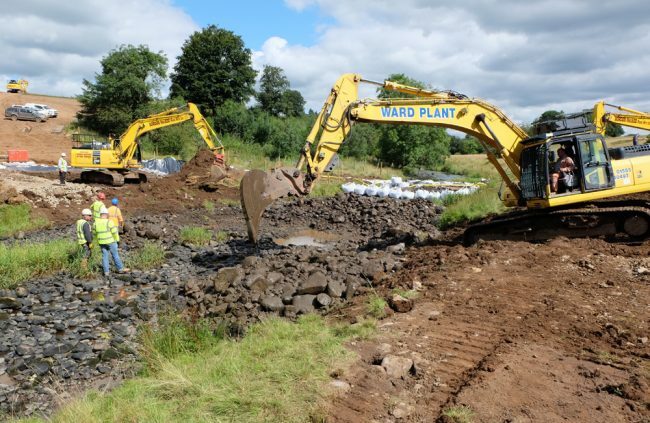 Once we had completed the first run through, the contractors started to install a dam to divert water through a freshly dug side channel allow them to install the water pipe across the river. The diversion channel poor to the liner going in. We insisted this went in! The next morning, the site was then dewatered and we remained on hand to rescue any fish missed as levels dropped. In all we rescued at least another 100 + fish. We were also informed that a pipe culvert will be installed that will remain in place until next year. We were less than impressed by this as there has been no prior consultation with ourselves. 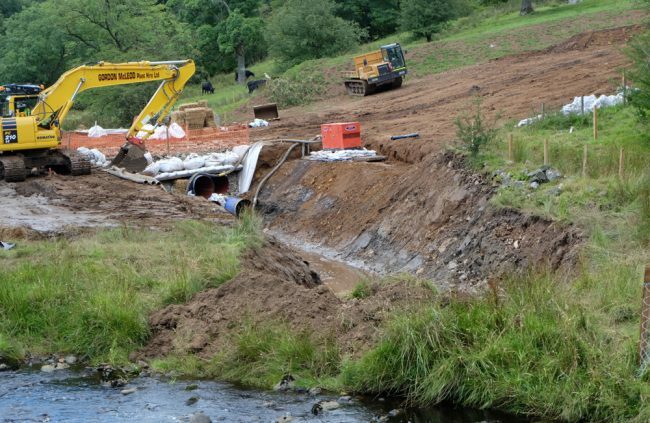 The culvert was to be approximately 14m long and we informed the contractors we weren’t happy about this. I asked SEPA whether they knew about this in advance and they didn’t think it met with the agreed designs. SEPA attended the following morning and by the time we returned to remove any fish that had found their way into the bypass channel, the culvert had been abandoned. 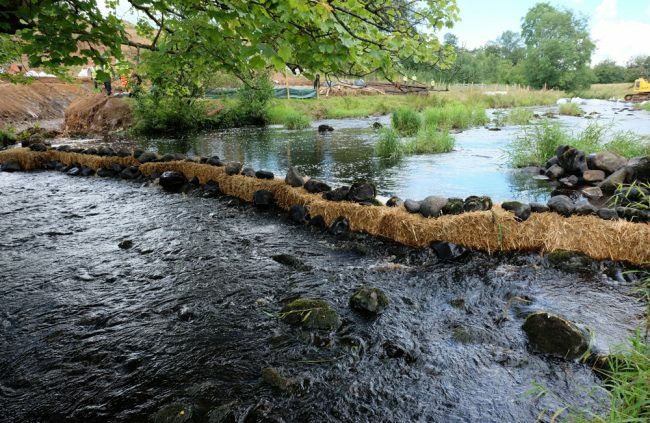 We insisted work stopped until this silt barrier was in. Everything was already on site but contractors needed prompting to do things in the right order. The dewatered site shortly after we completed the fish removal. A deep pipe track was cut and the pipe laid that evening. 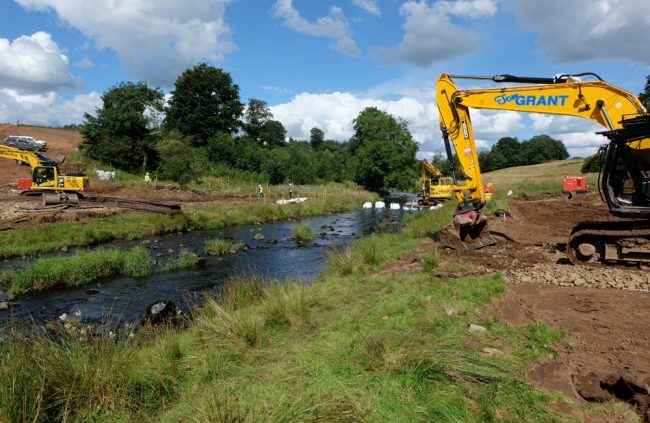 By Friday afternoon and another few hours on site, the pipe had been laid, the river bed backfilled and over 800 fish (all species) had been saved and relocated in the river. The bypass channel had accumulated 60 fish when we returned to see it denatured. The contractors couldn’t believe their eyes. I expect the contractors learned a few things from us as we did them. The view upstream on completion. All in all a good job done.